Welcome to this year's 47th issue of DistroWatch Weekly! This past week we saw new releases from several projects. 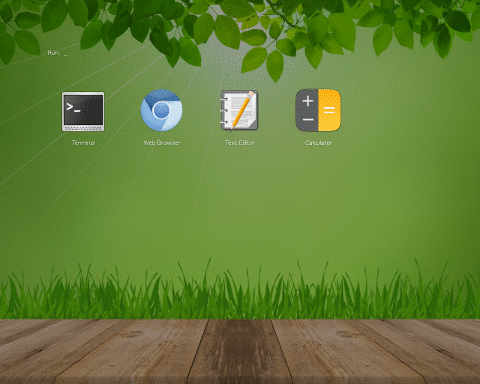 Slax returned with its new Debian base, GhostBSD launched a new version of their desktop-friendly FreeBSD-based operating system and Linux Mint previewed operating system snapshots using a utility called Timeshift. One of the more prominent new releases to appear last week was Fedora 27, which features GNOME running on Wayland, signed LibreOffice documents and a new settings panel. We begin this week with a review of Fedora 27 and a look at the current status of the GNOME desktop on Wayland. In our News section we talk about running desktop Ubuntu on Samsung mobile devices and Red Hat providing a version of Red Hat Enterprise Linux for ARM-powered computers. Plus the Parabola project has reported it will continue to maintain 32-bit packages, despite its base (Arch Linux) dropping 32-bit support. In our Questions and Answers column we discuss cross-distribution software ports. Plus we share the many releases of the past week and provide a list of the torrents we are seeding. In our Opinion Poll we ask how many of our readers are running desktop or laptop computers with ARM processors. We wish you all wonderful week and happy reading! Listen to the Podcast edition of this week's DistroWatch Weekly in OGG (70MB) and MP3 (87MB) formats. Fedora is a community developed distribution sponsored by Red Hat. Fedora ships cutting edge, open source software and is sometimes viewed as a testing grounds for new technology, such as systemd and Wayland. Fedora has a strong stance on shipping open source software and packages which are not encumbered by license or patent restrictions, with one of the few exceptions being non-free firmware which is provided to help Fedora run on a wide range of hardware. Usually Fedora ships in three main editions (Workstation, Server and Atomic Host) along with several community spins. With the release of Fedora 27 the Server edition was delayed and is scheduled to ship in January 2018. The Workstation edition of Fedora ships with GNOME 3.26 and features GNOME's new settings panel. 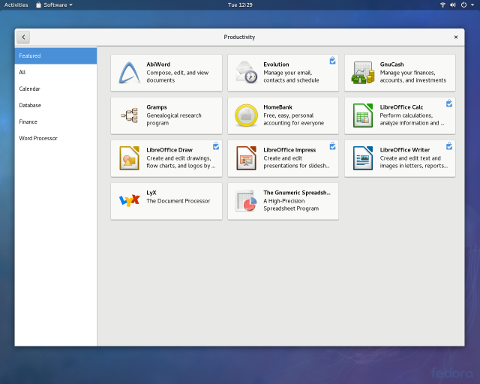 The distribution also reportedly offers improved search results from the GNOME Activities screen and includes the ability to sign LibreOffice documents with OpenPGP keys. The Workstation edition of Fedora is available as a 1.5GB download. Booting from the project's installation media brings up a graphical interface with a window where we are asked if we would like to try running Fedora's live environment or immediately launch the project's system installer. The first time I booted Fedora 27 the interface locked up at this point and I could not choose either option. I performed a hard reset, booted back to the selection screen and, the second time around, I was able to select the live desktop option. I poked around the live GNOME Shell desktop for a while and found it to be a sparse environment. The desktop is mostly empty, unless we open the Activities menu, which brings up a full screen search area and a dock where we can launch or browse available applications. Fedora uses the Anaconda system installer. It is a graphical utility which begins by asking us to select our preferred language from a list. Then we are guided through two hub screens where we can perform additional configuration options in the order of our choosing. The only two modules we really need to complete are the partitioning section and setting up a root password. We can also optionally adjust the computer's time zone, change the keyboard layout, create a user account and adjust network settings. For the most part, these modules worked well and I think Anaconda may be faster now than it was in past years. However, I still find the partitioning section overly complicated. Partitioning is spread over two screens (selecting drives and arranging partitions) and, in my opinion, the controls are not clearly presented. The installer also asks us to specify whether we are using multi-device volumes such as LVM and Btrfs, or using standard file system partitions such as ext4. Most distributions just treat all three options the same way and let the user mix and match as they like. My final gripe with the installer was it complained about the size of my swap partition, saying it should be bigger, which seems strange in an era where many people do not even bother using swap space. In the end, Anaconda finished its work successfully, and fairly quickly, and returned me to GNOME Shell. When Fedora boots we are presented with a graphical login screen. We have three login options: GNOME (running on Wayland), GNOME Classic and GNOME on Xorg. GNOME Classic provides an experience somewhat like the traditional GNOME 2 and MATE desktops, though with some features removed or moved around. The plain GNOME option loads GNOME Shell running on Wayland and the GNOME on Xorg session again runs GNOME Shell, but with the X display server in place of Wayland. I tried all three environments and they each have their strengths and weaknesses. For example, running GNOME on Wayland on Fedora provided a relatively slow and unresponsive desktop in my test environments. When run on my desktop computer, GNOME was just a bit sluggish and programs were slow to load, but when running in VirtualBox, the Wayland session was so slow I could watch dialogue boxes be drawn element-by-element. The GNOME-Shell process used more CPU than expected, sometimes as much as 20%. The GNOME on Xorg experience was smoother. On my desktop machine, GNOME Shell running on the X display server was pretty responsive. Performance was almost perfect, except when dealing with the Activities view, which was still a bit slow to respond. When running in VirtualBox, GNOME on Xorg switched windows and opened new applications three to five times faster than when I was running the Wayland session. GNOME Classic offered the same performance as GNOME on Xorg, but without the slow Activities overview screen. The first time we sign into GNOME a configuration wizard appears and walks us through selecting our preferred language and keyboard layout. We are also given the chance to enable on-line services and automated bug reports. We can also link our local account to on-line services such as Google and Facebook. Once this wizard completes its steps, the GNOME Help application opens. The Help documentation provides us with tips for performing common tasks under the GNOME desktop, complete with diagrams. I really like GNOME's documentation, it is unusually detailed and a very helpful resource for new users. Shortly after signing into GNOME Shell, a notification appeared at the top of the desktop, letting me know software updates were available. I was too slow to click the notification to follow-up, but I did open the distribution's software manager (GNOME Software) and clicked on the utility's Updates tab. The day Fedora 27 launched there were 21 updates available. There doesn't appear to be a clear way to select which updates we want to install, the software manager assumes we want them all. Clicking the update button warns us that installing updates will require a reboot. Fedora is almost unique among Linux distributions in requiring a reboot during package upgrades and it feels like an unpleasant return to my days using Windows. This feeling persisted when I found out just how long it takes Fedora to apply updates. When the software manager rebooted the system, I was stuck waiting for over 15 minutes for the updates to finish applying, an unusually long time compared to the update processes on most Linux distributions. This delay meant it was faster for me to walk to the local post office and check my mailbox than to reboot Fedora and open my e-mail client. One of Fedora's better characteristics, in my opinion, is the distribution's hardware support. Fedora detected and worked with desktop computer's hardware. Networking was set up automatically and sound worked out of the box. When run in VirtualBox, Fedora was able to automatically integrate with the virtual environment and use my host computer's full screen resolution. While everything worked in both environments, I found Fedora worked much faster on the desktop computer. When run in VirtualBox, tasks performed on the desktop took about three times longer to complete, whether it was opening an application or performing a search through the Activities screen. I found the distribution was sometimes slow to boot. Apart from the delays caused by software updates I mentioned earlier, Fedora would sometimes pause and display the notorious systemd message: "A start job is running". These pauses resulted in Fedora occasionally taking over a minute to boot. In either environment, Fedora used a little over 900MB of RAM when signed into the desktop. The GNOME on Wayland session required about 960MB and GNOME on Xorg required 930MB. A fresh install of Fedora took up about 5GB of disk space. Fedora ships with a fairly lean collection of software by default. The Workstation edition provides us with the Firefox web browser, the Evolution e-mail client and LibreOffice. GNOME features a map application, a simple calendar application and simple image viewer. The Shotwell photo manager is included along with a scanner utility and an app for checking the weather. We're also given a document viewer, archive manager and system monitor. Fedora ships with the Rhythmbox audio player and the Totem video player. I found I was able to play most audio files, including MP3 files, out of the box. Video formats were not as well supported. Totem will offer to check Fedora's repositories for video codecs, but cannot find suitable matches. To gain additional multimedia support, Fedora users can enable the RPMFusion repositories which contain additional packages, codecs and non-free extras. Even with the RPMFusion repositories added, when Totem tried to find matching codecs to play videos, the best it could do was come up with a list of about six packages which might contain the proper codec. Since most codec packages do not carry descriptive names, I found it easiest to simple install all of them. Back when I reviewed Ubuntu 17.10, I found the Totem video player would work when run on the Xorg session, but not when run on a Wayland session. I was curious to find out if the problem was with Totem and could be duplicated across distributions, or if the issue was specific to the Ubuntu distribution. I found Totem displayed the same behaviour on Fedora, failing to run when I tried to launch it on Wayland, but running smoothly under the GNOME on Xorg session. This leads me to wonder why both distributions continue to ship Totem as the default media player when their default desktop session is not compatible with it. But I digress. Rounding out Fedora's software selection, we are provided with Network Manager to help us get on-line. Java is installed for us and systemd is used as Fedora's init software. Fedora 27 ships with Linux 4.13. When running programs from the command line, if we type in the name of a command which has not been installed, but which is available in Fedora's repositories, a prompt will appear and offer to install the missing utility for us. One of the items mentioned in Fedora's release announcement was a feature which allows LibreOffice to sign documents by using the user's OpenPGP key. This feature interested me as it provides a useful way to confirm the origin of a document. The LibreOffice suite does indeed include a feature (presented under the File menu) which allows the user to sign the current document or an existing PDF. One catch to this is LibreOffice cannot create signing keys, only use existing ones. If we do not already have keys installed under our account we need to make one and Fedora does not include a desktop utility for creating signing keys. I also found performing searches in the Activities menu for programs that could create OpenPGP keys tended not to return results. Searches for "openpgp", "gnupg" and "pgp" returned no results. I finally got hits off the terms "cert" and "keys". Once I had installed a certificate manager and generated keys, LibreOffice was able to find them and use my keys to digitally sign documents I had created. Then, when we open a document which has been signed, assuming we have the author's verification key, LibreOffice will automatically display a message saying the document was signed and verified. There is one other hurdle in LibreOffice's new feature, apart from needing an outside program to create and manage the keys of authors. Every time we edit and save a document, the process removes all signing keys, including our own, from the document. We need to manually re-sign the document every time we change and save it. I think it would have been convenient if, once we had signed a document, LibreOffice automatically signed it again when we had altered it. Fedora's primary tool for installing and updating software is the GNOME Software application. This software manager is divided into three tabs where we can browse available software, remove installed items and install updates. I have already touched on the update feature and the tab for removing installed applications is fairly straight forward. The tab for browsing available software lets us find programs by either browsing categories or searching for items by name. GNOME Software presents search results and software categories in nice, clear lists with icons and short descriptions. We can click on an application to bring up a full screen description with a screen shot. Installing new software can be accomplished with a button click. On the whole, GNOME Software is a capable front end for dealing with software. There were just a few cases where I ran into issues. For example, GNOME Software would sometimes lock up for a few minutes while installing new applications and the window would go blank. The software manager always recovered from these lock-ups on its own, eventually. The other problem I ran into concerned the difference between using GNOME Software and the DNF command line package manager. There were times when I would go into GNOME Software and check for package updates and be told none were available, even after hitting the manager's refresh button. However, if I opened a terminal and ran "dnf update", the DNF tool would display packages waiting to be upgraded. 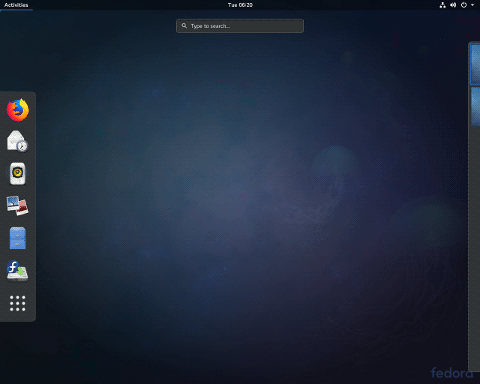 I talked about GNOME's new settings panel in an earlier review and I must say the new layout is growing on me. I like that I can see all the categories while inside a module. This means I don't need to back out of one module to see other available options. I find it odd the GNOME team has hidden some categories inside others, for example we manage user accounts by first going into the Details category and then opening the Users module. Other than this quirk, I quite like the new settings panel; it is visually clean, easy to navigate and responsive. I like the new LibreOffice feature which lets us sign and verify documents and I like GNOME's new settings panel. These are all small, but notable steps forward for GNOME, LibreOffice and Fedora. Most of the complaints I had this week had more to do with GNOME specifically than Fedora as an operating system. GNOME on Fedora is sluggish on my systems, both on the desktop computer and in VirtualBox, especially the Wayland session. This surprised me as when I ran GNOME's Wayland session on Ubuntu last month, the desktop performed quite a bit better. 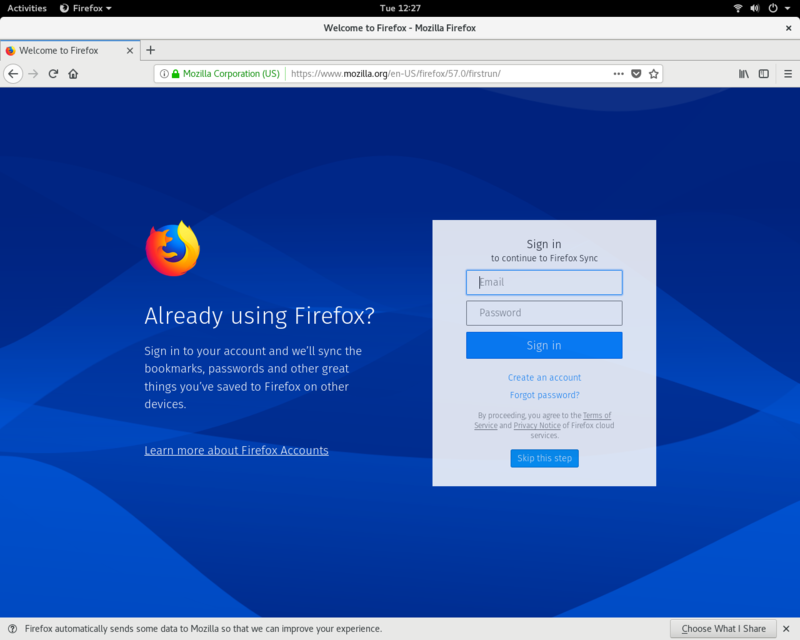 Ubuntu's GNOME on Wayland session was smooth and responsive, but Fedora's was too slow for me to use comfortably and I switched over to using the X session for most of my trial. Two other big differences I felt keenly between Ubuntu and Fedora were with regards to how these two leading projects set up GNOME. On Ubuntu we have a dock that acts as a task switcher, making it a suitable environment for multitasking. Fedora's GNOME has no equivalent. This means Fedora's GNOME is okay for running one or two programs at a time, but I tend to run eight or nine applications at any given moment. This becomes very awkward when using Fedora's default GNOME configuration as it is hard to switch between open windows quickly, at least without installing an extension. In a similar vein, Ubuntu's GNOME has window control buttons and Fedora's version does not, which again adds a few steps to what are usually very simple, quick actions. What it comes down to is I feel like Ubuntu takes GNOME and turns it into a full featured desktop environment, while Fedora provides us with just plain GNOME which feels more like a framework for a desktop we can then shape with extensions rather than a complete desktop environment. In fact, I think that describes Fedora's approach in general - the distribution feels more like a collection of open source utilities rather than an integrated whole. Earlier I mentioned LibreOffice can work with signed documents, but Fedora has no key manager, meaning we need to find and download one. Fedora ships with Totem, which is a fine video player, but it doesn't work with Wayland, making it an odd default choice. These little gaps or missed connections show up occasionally and it sets the distribution apart from other projects like openSUSE or Linux Mint where there is a stronger sense the pieces of the operating system working together with a unified vision. The big puzzle for me this week was with software updates. Linux effectively solved updating software and being able to keep running without a pause, reboot or lock-up decades ago. Other mainstream distributions have fast updates - some even have atomic, on-line updates. openSUSE has software snapshots through the file system, Ubuntu has live kernel updates that do away with rebooting entirely and NixOS has atomic, versioned updates via the package manager, to name just three examples. But Fedora has taken a big step backward in making updates require an immediate reboot, and taking an unusually long time to complete the update process, neither of which benefits the user. Fedora has some interesting features and I like that it showcases new technologies. It's a good place to see what new items are going to be landing in other projects next year. However, Fedora feels more and more like a testing ground for developers and less like a polished experience for people to use as their day-to-day operating system. Samsung has been working on a feature called "Linux on Galaxy" which allows a Samsung smart phone to run full featured, Linux desktop distributions. A brief video has been released which shows a docked Android phone run an application which allows Ubuntu to be run in its own window and desktop applications to be run on the Ubuntu desktop. The Liliputing website reports, "In the video, we see someone dock their phone, choose the 'Linux on Galaxy' option from the desktop, and then choose Ubuntu 16.04 LTS. While that's the only option shown, the fact that it does seem to be an option suggests you may be able to run different Linux environments as well. Once Ubuntu is loaded, the video shows a user opening Eclipse, an integrated development environment that's used to create Java (and Android apps). In other words, you can develop apps for Android phones with ARM-based processors on an Android phone with an ARM-based processor." The video and a short write-up can be found in the Liliputing post. Red Hat has announced the company has added ARM to the list of CPU architectures supported by Red Hat Enterprise Linux. "Today marks a milestone for Red Hat Enterprise Linux with the addition of a new architecture to our list of fully supported platforms. Red Hat Enterprise Linux for ARM is a part of our multi-architecture strategy and the culmination of a multi-year collaboration with the upstream community and our silicon and hardware partners. The ARM ecosystem has emerged over the last several years with server-optimized SoC (system on chip) products that are designed for cloud and hyperscale, telco and edge computing, as well as high-performance computing applications. ARM SoC designs take advantage of advances in CPU technology, system-level hardware, and packaging to offer additional choices to customers looking for tightly integrated hardware solutions." More information on the ARM build of Red Hat Enterprise Linux 7.4 can be found in the company's release notes. Parabola GNU/Linux-libre is an Arch-based Linux distribution built using entirely free software. The Parabola developers have responded to Arch Linux dropping 32-bit packages by declaring Parabola will continue to provide 32-bit options for the distribution's users. A statement published by the Parabola project reads: "As part of our community's heightened interest in platforms amenable to user freedom, Parabola will continue supporting the i686 port for the foreseeable future. The base distro will be based on packages from Arch's unofficial 32-bit port, starting today. Users don't need to do anything to make the transition. Just make sure you are using the latest libre/archlinux32-keyring (required by default since pacman 5.0.2-2.parabola1.1) and upgrade as usual. During the next few days upgrade operations will greet you with warning messages about available downgrades. These are due to the 32-bit port catching up to the state where official Arch left, and can be safely ignored." Using-the-same-repository-everywhere asks: Is there something working like AUR, but for all distributions? DistroWatch answers: There are some cross-distribution software repositories, though they tend to be smaller than the larger, distro-specific repositories, like those run by Debian and Arch Linux. The benefit to using a cross-platform, AUR-like repository tends to be having a consistent experience across operating systems rather than a large selection of software. One small collection of ports which should work on almost all Linux distributions, and some of the BSDs, is the Ravenports repository. Ravenports is still in its early stages and doesn't have many ports, particularly for desktop software, but it promises to provide a consistent cross-operating system experience. A more mature, and easier to use solution is Nix. The Nix package manager runs on most Linux distributions and provides access to a collection of software which can be run across platforms. Nix is fairly straight forward to use and, apart from a fairly large collection of software, provides some great features like package snapshots and can be used by multiple users on the same system. Another option is pkgsrc, which provides a ports framework containing over 17,000 packages. While pkgsrc tends to be associated with NetBSD, the ports system is designed to work with Linux, macOS and Illumos. More recently, Flatpak and Snap repositories have tried to fill the role of cross-platform distribution packages. These portable packages can work on any distribution with the corresponding Flatpak or Snap software installed. Flatpak and Snap are both more focused on providing portable applications with their dependencies bundled rather than offering an AUR-like repository of ports and traditional packages, but they may be the most convenient approach if you want to get new applications installed and running quickly. Daniil Baturin has announced the release of VyOS 1.1.8, an updated version of the Debian-based distribution for firewalls and routers born in 2013 from the ashes of the discontinued Vyatta project: "VyOS 1.1.8 is now available for download. It breaks the semantic versioning convention; while the version number implies a bug-fix-only release, it actually includes a number of new features. This is because 1.2.0 number is already assigned to the Jessie-based release that is still in beta, but not including those features that have been in the code base for a while and a few of them have already been in production for some users would feel quite wrong, especially considering the long delay between the releases. Overall it's pretty close in scope to the original 1.2.0 release plan before Debian Squeeze was EOLed and we had to switch the effort to getting rid of the legacy that was keeping us from moving to a newer base distribution." See the release announcement and the changelog for further information. The Fedora team has announced the release of a new version of their cutting edge Linux distribution. The new version, Fedora 27, ships with GNOME 3.26 which features a new settings panel and a more comprehensive search page. The Boxes virtual machine utility now supports shared folders and LibreOffice documents can be signed with OpenPGP keys. "The Workstation edition of Fedora 27 features GNOME 3.26. In the new release, both the Display and Network configuration panels have been updated, along with the overall Settings panel appearance improvement. The system search now shows more results at once, including the system actions. GNOME 3.26 also features color emoji support, folder sharing in Boxes, and numerous improvements in the Builder IDE tool. Many thanks to the GNOME community for their work on these features. For more information refer to the upstream release notes at GNOME 3.26 Release Notes." Further details can be found in the release announcement and in Fedora's release notes. While Fedora's Workstation edition has been released, the Server edition of Fedora 27 is not expected to be launched until January of 2018. The Amnesic Incognito Live System (Tails) is a Debian-based live DVD/USB with the goal of providing complete Internet anonymity for the user. The Tails project has released a new update, Tails 3.3. The new version features reduced bandwidth usage via Tor 0.3.1.8, the Tor Browser version 7.0.10 and version 4.13.0 of the Linux kernel. Several bugs have been fixed too: "Fix UEFI support for USB sticks installed using Universal USB Installer. Fix errors on file system creation in Tails Installer when the target USB stick is plugged before starting Tails Installer. Fix Tails Installer on Debian Sid and recent versions of udisks2. Fix the screen reader and screen keyboard in Tor Browser and Thunderbird. Make the configuration of the keyboard layout more robust when starting a session. For more details, read our changelog." More changes and known issues are listed in the project's release announcement. KaOS, a rolling KDE/Qt-centric Linux distribution, has been updated to version 2017.11. Besides the very latest Plasma Desktop (version 5.11.3), the new release also introduces Elisa as the default music player: "KaOS is pleased to announce the 2017.11 release. Just days after Plasma 5.11.3, KDE Applications 17.08.3 and Frameworks 5.40.0 where announced, you can already see these in this new release. Highlights of Plasma 5.11.3 include making sure passwords are stored for all users when KWallet is disabled, synchronize XWayland DPI font to Wayland dpi, notifications optionally store missed and expired notifications in a history, the new Plasma Vault offers strong encryption features presented in a user-friendly way, Window title logic has been unified between X and Wayland windows, default X font DPI to 96 on Wayland. All built on Qt 5.9.2. 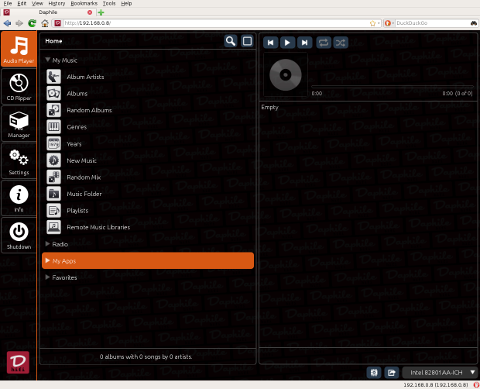 This release introduces Elisa as the default music player. KaOS users have chosen this option during a recent poll. It has been a few years, but the Juk music player is finally ported to KF5, thus available again in the KaOS repositories." Read the rest of the release announcement for more information, screenshots and known issues. Following a long absence, the Slax project has returned and the new version, Slax 9.2.1, features several significant changes. Slax no longer uses Slackware as its base, the project is now built using Debian packages. With this migration to Debian, Slax will also adopt the APT package management tools and the systemd init software. "After several years of inactivity Slax project has been brought to life again. For those who did not hear about it yet, Slax is a little distribution of GNU/Linux (in 200MB), which runs on your computer without installing, and makes no changes to it (unless you tell it to do so). This time, Slax uses Debian stretch as its base, and thus it can offer all the wonders of the mighty 'apt' command. If you are missing any software in Slax, use 'apt install SOFTWARENAME' to get it in an instant. I've decided to go for Debian because it made my life much easier and I believe that it will make yours too. Graphical desktop uses Fluxbox window manager and xLunch, which was written especially for Slax and with Slax needs in mind. Furthermore the development of xLunch continues independently." Further information can be found in the project's release announcement. GhostBSD is an easy to use, FreeBSD-based desktop operating system. The project has released GhostBSD 11.1 which is available in MATE and Xfce flavours. 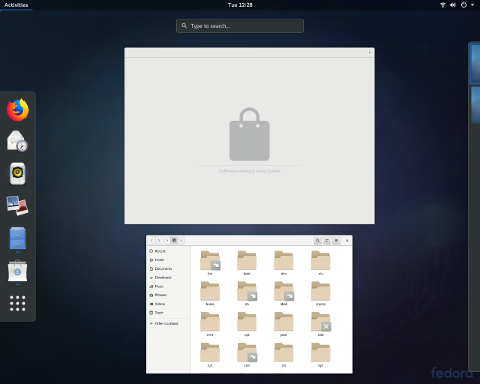 The new version features easy ZFS configuration the Whisker Menu for the Xfce edition, keyboard layout fixes and an independent GhostBSD software repository. "After a year of development, testing, debugging and working on our software package repository, we are pleased to announce the release of GhostBSD 11.1 is now available on 64-bit (amd64) architecture with MATE and Xfce desktop on direct and torrent download. With 11.1 we drop 32-bit i386 support, and we currently maintain our software packages repository for more stability. What's new on GhostBSD 11.1: GhostBSD software repository. Support VMware Workstation Guest Features. New UFS full disk mirroring option on the installer. New UFS full disk MBR and GPT option on the installer. New UFS full disk swap size option on the installer. Whisker Menu as default Application menu on Xfce. All software developed by GhostBSD is now getting updated." Further details can be found in the project's release announcement. Raspberry Digital Signage (RDS) is an operating system designed for digital signage installations on the Raspberry Pi. It displays a full-screen browser view restricted to a specified (web) resource. The project has released a new version, Raspberry Digital Signage 10.0, which is based on Raspbian "Stretch". The release announcement reports: "Marco Buratto has released Raspberry Digital Signage 10.0 today, which comes with the latest and greatest Chromium build (featuring advanced HTML5 capabilities, Adobe Flash support and H264/AVC video acceleration), so you can display more attractive resources, more easily. System parameters are set by a web interface which wraps lower terminal commands. SSH and VNC remote management systems are available as well. Changelog for version 10.0: The underlying operating system has been moved to Raspbian Stretch; the overall performance is sensibly better and HTML5 videos play a lot smoother; some improvements on code and bug fixes (the most important ones concern WiFi networks' discovery and local WordPress virtual host, which remains disabled if unused)." SparkyLinux is a Debian-based distribution which features many editions and different development branches. SparkyLinux's Stable series has received a minor update which brings the installation media up to date with upstream Debian software repositories. The new version is SparkyLinux 4.7, codename "Tyche". "There is an update of SparkyLinux 4.7 'Tyche' out there. This is Sparky edition based on Debian Stable version 9 code name 'Stretch'. No big changes, the new ISO images provide updates of all installed packages, from Debian 'Stretch' and Sparky repositories as of November 17, 2017. Highlights: Linux kernel 4.9.0-4 (4.9.51), Xfce 4.12.3, LXDE 0.99.2, Openbox 3.6.1, Firefox ESR 52.5.0, Thunderbird 52.4.0, Pidgin 2.12.0, HexChat 2.12.4, VLC 2.2.6, DeaDBeeF 0.7.2, LibreOffice 5.2.7, Transmission 2.92, Calamares 3.1.8." More information and upgrade instructions for existing SparkyLinux users can be found in the project's release announcement. Earlier we reported on Red Hat introducing support for running Red Hat Enterprise Linux on ARM-powered computers. ARM is a popular CPU architecture for smart phones and tablets, but has not seen nearly as much adoption on laptops and desktop computers. This week we would like to find out how many of our readers use an ARM-powered workstation or laptop computer. You can see the results of our previous poll on distributions with multiple editions in last week's edition. All previous poll results can be found in our poll archives. Ready Linux. Ready Linux is an Ubuntu-based distribution with a retro look. The default graphical environment features a terminal which resembles the Commodore 64 interface. Flint OS. Flint OS is an open source operating system built on Chromium OS. Flint OS has a cloud-oriented approach to providing services and runs on both x86 and ARM powered computers. AnemOS GNU/Linux. AnemOS GNU/Linux is a Debian-based distribution for 32-bit x86 computers which features the LXQt desktop environment. UserLinux was a GNU/Linux distribution based from Debian, but streamlined to a smaller set of default applications. The UserLinux variants (server, desktop, etc.) will be freely available in both source and ISO formats. Application specifics are being worked out right now. The desktop environment will be GNOME featuring OpenOffice.org for word processing. The server configuration will include Apache and Postfix. UserLinux will be complemented by a network of service providers offering certification, support, and professional services.